Igor Lilic is the CTO and co-founder of the Enterprise Group at the Brooklyn-based Blockchain conglomerate ConsenSys. He will be presenting at Bitcoin Wednesday on 4 October 2017 with his colleagues, Karl Kreder and Mark D’Agostino. 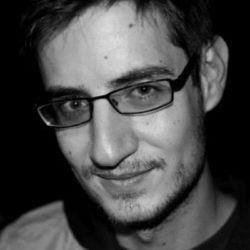 Igor is a full-stack software engineer who previously worked as a senior consultant for ThoughtWorks, Amazon Web Services, OANDA, SAP and AMD. He has been working with cryptocurrencies and blockchain tech since 2012. He wrote the Proof of Physical Address (PoPA) system, and has played a leading role in the delivery of most client engagements at ConsenSys, including one of their biggest projects in the Energy sector. He is currently shifting his focus to product delivery.